These two wheeled machines will prove a hit wherever they are taken or used. They are highly versatile and mobile, a fantastic piece of modern technology and will balance themselves as you can turn on the spot and drive over most terrains. They are totally unique and you will be stunned by the versatility of these machines and the fact that most people can get to grips with them in minutes. 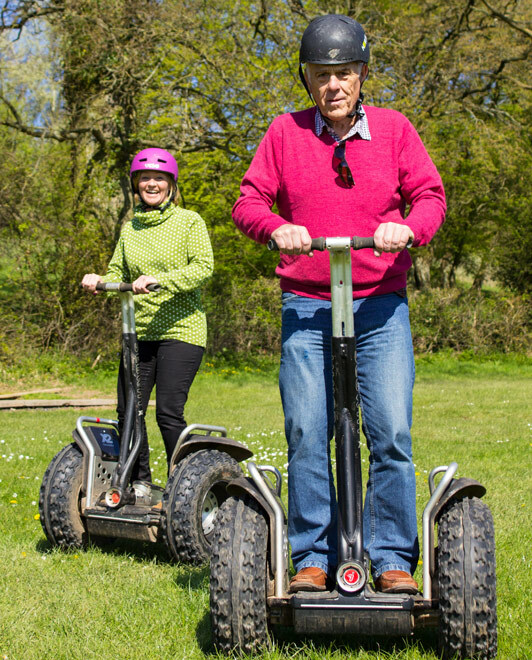 Segways make a great addition to a large company event, when booked along side other activities. As you can see in the video below, they can be used in wet weather too! "The instructors were very professional, articulate and presented information in a humorous way without losing the importance of the message (for example when discussing the health and safety issues at the beginning). The interaction throughout the afternoon was very well received and added to the enjoyment of the activities. We all felt very well looked after from the instructions/demonstrations to the provision of refreshments and sun shelters.